Welcome to the Website of The British and Caribbean Veterans Association. ​The Purpose of this site is to keep our members (and future members) up to date with the business of the association and let them know of any upcoming events. 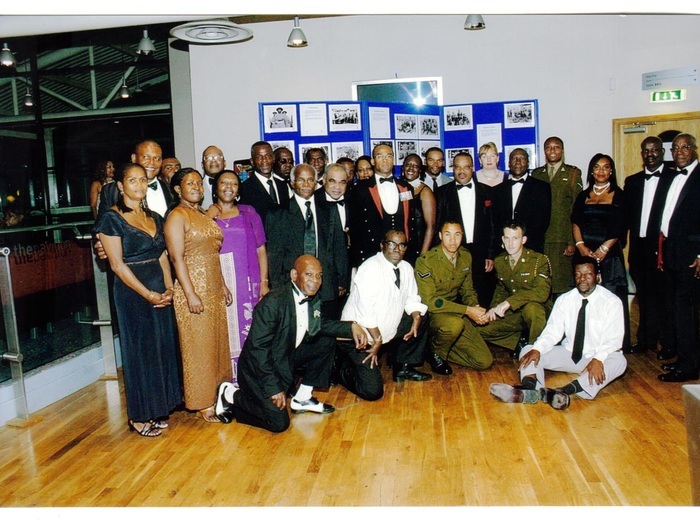 ​ British and Caribbean Veterans Association is a charity for British and caribbean Ex-servicemen and Women. The Association Was formed to Promote comradeship and 'esprit de corps' among British and Caribbean ex-servicemen and women regardless of where they reside. The association is non-sectarian and non-political. We are a self-funding organisation. Any person over the age of 18 years, deemed to be of good character may apply to be a member of the association. You do not need to have served in the armed forces. Ladies and Gentlemen, It’s Summer Ball Time again. Saturday 29th june 2019, Armed Forces Day. This year we will be raising funds to support the Curphey Home for EX-servicemen and Women in Mandeville Jamaica. Over the past 10 years British and Caribbean Veterans Association has supported The Antigua and Barbuda Hurricane relief fund, The Barbados Legion, The Jamaica flood relief fund, Dominica Hurricane relief fund, The St.Kitts and Nevis Legion and Prostate cancer uk, to name but just a few. The Black tie Event will commence with a complimentary fruit punch reception. This will be followed by a three course meal. The dulcet tones of Samantha James on Saxophone will entertain you during the meal. 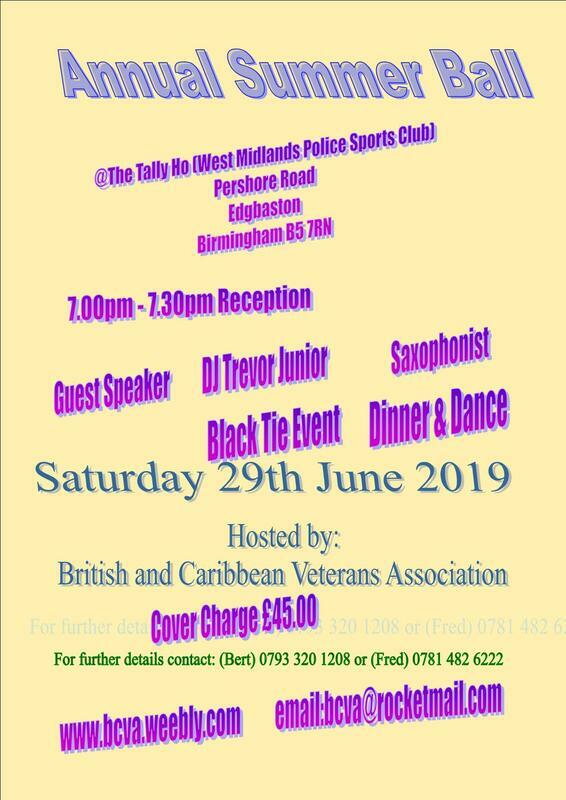 Dance music will be provided by the ever popular ‘big people’ DJ Trevor Junior, who has the simple task of ensuring the dance floor remains fully occupied. Something he is well capable of. Tickets still cost £45.00(must be best value in town). 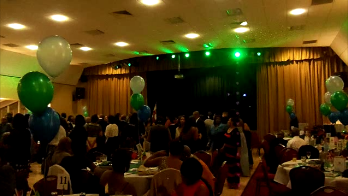 On Saturday 30th June , we held our Annual Summer Ball Dinner & Dance at the Tally Ho, Edgbaston, Birmingham. 177 people attended the event and without a doubt, it was our best ever. We are truly blessed to be supported by so many people every single year we hold this event​. It was a great achievement by our ever reliable and witty Master of ceremonies Mr Cliff Walker, MBE to have all guests seated by 20:10. 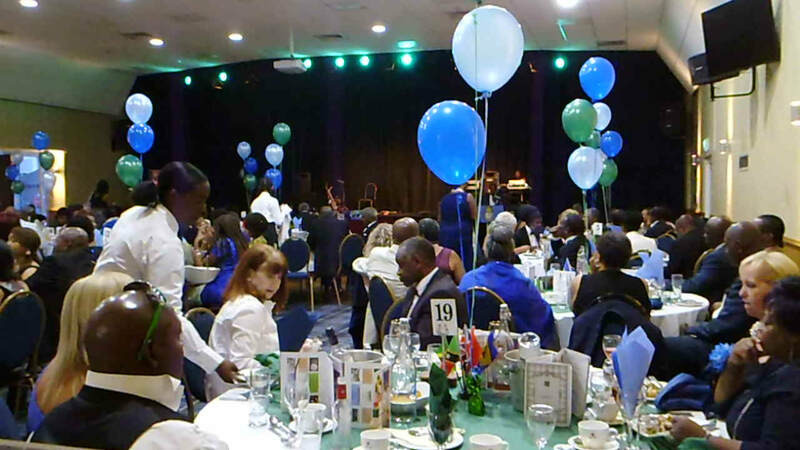 On Saturday 24th June 143 members and guests gathered at the Tally Ho Conference and Banqueting centre, Edgbaston,Birmingham for the association's annual Dinner and Dance. This year we celebrated our 22nd anniversary. Master of Ceremony was the one and only Cliff Walker JP, MBE who, over the years has done an excellent job in ensuring that we have a prompt start and the night runs according to programme. During the meal guests were entertained by the dulcet of of saxophonist Samantha-Jayne. After the meal and a couple of speeches, the ever popular (big people DJ) Trevor Junior took charge and we danced till 2am. Our guest speaker was the award-winning businesswoman, social entrepreneur, international human capital consultant and executive personal strategist, (Capt Rtd) Sue Liburd MBE. Sue, who had a corporate career spanning commercial, public and third sectors gave an excellent and enlightening speech on her career in the Army and her path in life which has led to her obtaining the OBE in 2016. BCVA would like to thank all members and guests who attended our 22nd anniversay celebrations this year for their continued support in helping to make the event such a wonderful occasion. Please make a note in your diary that next years Dinner and Dance will be on 30th June 2018 at the usual venue. To see photos of previous events, please click the link below or copy and paste into your browser. Huge and Mighty Men of Valour BBC radio 2 Tuesday 18th October 2016. A programme about the caribbean contribution to British Armed Forces focussing on the British West Indies Regiment. Here is a 'dropbox' link to the above programme presented by Sir Trevor Mcdonald. British and Caribbean Veterans Association. Data Protection Statement. We will use the information you have provided for purposes relating to the British and Caribbean Veterans Association only. We will not disclose this information to any third party without your permission. This site was built by Bert Stuart. Your constructive feedback would be much appreciated. Please contact me with suggestions as to how this site may be improved.